MDC Youth Leader Happymore Chidziva has warned ZANU PF that by burning the MDC Headquarters Morgan Richard Tsvangirai House they are provoking a response from the people. MDC Headquarters were burnt down yesterday in the evening by unknown assailants after assaulting the security personnel there. "The MDC Youth Assembly has received news from our security personnel at Morgan Tsvangirai house that the Headquarters was set on fire by armed individuals riding unmarked vehicles. "Chidziva said. "We… want to warn Zanu PF youths that our silence does not mean weakness, neither does exercising restraint mean we cannot defend ourselves." Chidziva said this is not the first time that ZANU PF has tried to burn down their building. 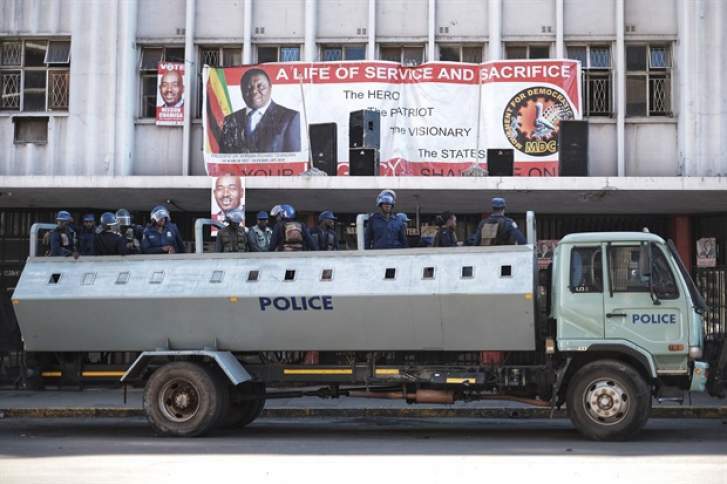 "This is not the first time that Zanu PF has deployed it's militia to bring down our party building. "Today, citizens and various civic groups demonstrated, angered by continued price hikes, in particular following the ridiculous announcement on new fuel prices by Mnangagwa, demanding action on his failed leadership. "The MDC YA position is very clear, citizens have a right to demonstrate peacefully as enshrined in section 59 of the Zimbabwean constitution." Chidziva further emphasized that a party they will stand in solidarity with the protesting citizens during this 3 day stayaway. "As a social democratic party whose values are freedom, justice and solidarity, we will stand in solidarity with the people and we will not shy away from that revolutionary task bestowed on our shoulders." On Monday citizens all over the country took to the streets and overpowered police officers before burning police buildings and looting shops.